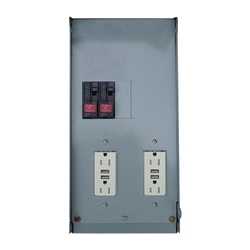 Wire power from existing 20 amp receptacle or wire to separate 20 amp circuit breaker. Photo-cell available for dusk to dawn operation. Dedicated circuit breaker also available to turn light off without interrupting power to sites or USB ports.